This is only here because it has to be. 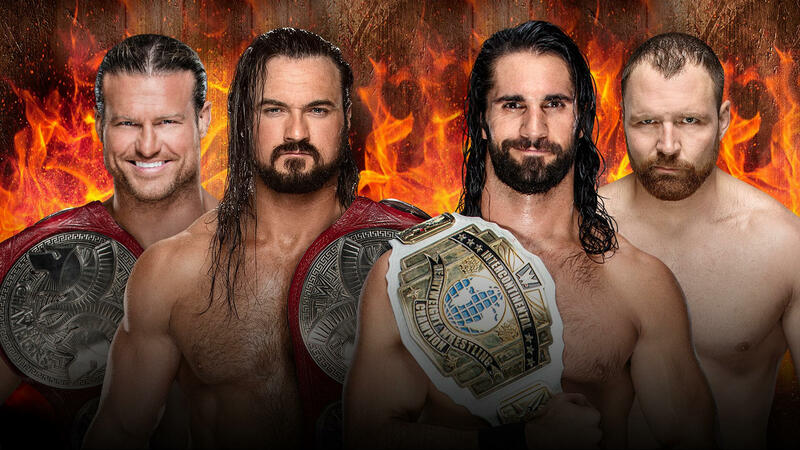 This match really doesn’t have a backbone behind it other than that it just a match between a feud between six people, and two of them happen to be title holders. What I fail to understand is why The Revival couldn’t have gotten this match. They are owed a RAW Tag Title opportunity after being blindsided by Drew and Dolph. The B Team get their rematch and The Revival are all of a sudden just afterthoughts. Drew and Dolph just won the titles, and if this was any other team they were facing, I’d say that they would retain. However, for the sake of the story, it’s almost like Seth and Dean have to win here. I mean, WWE has already shown that they don’t care for about 90% of the roster considering that they could just stick anybody that’s not a main eventer out for a 30 on 3 beatdown at a moment’s notice. The only way to capitalize on the theory that barely anybody who’s not a Shield member doesn’t matter is to end the night with The Shield holding all the belts. Seth as IC Champion, Dean and Rollins holding the tag titles, and Roman as Universal Champion. It’s happening. Who realistically thinks Ronda will lose? There’s a huge problem that WWE needs to address with Ronda in regards to her dominance. While of course, you wouldn’t want a former UFC Women’s Champion to look like a pushover, you also want to at least pretend that Ronda has some competition or vulnerability. She runs through Nia Jax, and she’s dominated Alexa on multiple occasions. I understand there are other adversaries such as Sasha Banks, Bayley and the Riott Squad that she can go through, but so far, WWE’s done a terrible job in making it look like Ronda could lose to anybody straight up on the women’s roster. That’s why I thought she should have lost the tag team match last night. If she had lost, we could at least say that she may have a disadvantage going into Sunday. Instead, Ronda had hurt ribs and she won the tag match anyway with Ronda staring down Alexa in the process. The announcing team will try their best to try and milk Ronda’s ribs all they want, but Ronda’s correct. Even if Ronda were to be functioning at around 50% capacity, she can defeat Alexa with little difficulty, and that’s just a fact. Alexa has virtually no chance this Sunday, and if she were to win the title back, call it the upset of the century. Spoiler alert: Becky is hot when she’s evil. Hopefully, I’m not the only one who thinks that Becky Lynch as a heel is the hottest thing one can ever lay their eyes upon. Becky just has that added edge to her character that she’s needed for some time, and I just love the visual of her beating up Charlotte whenever she feels like it. While the feud really should be centering around Charlotte as a heel and Becky as a face, I’m not going to complain. 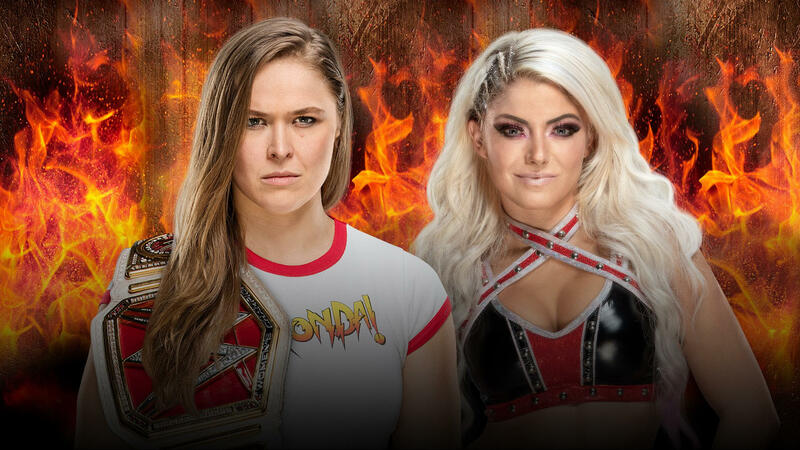 The only thing I hope is that these two women are allowed to work up to their full capacity because there’s no reason why this can’t be a great back and forth match if it gets the time it needs to tell its story thoroughly. Predicting the winner here is difficult. Charlotte just won the title, and I’m not sure if WWE has the fortitude to put the title on Becky already so soon after turning heel. 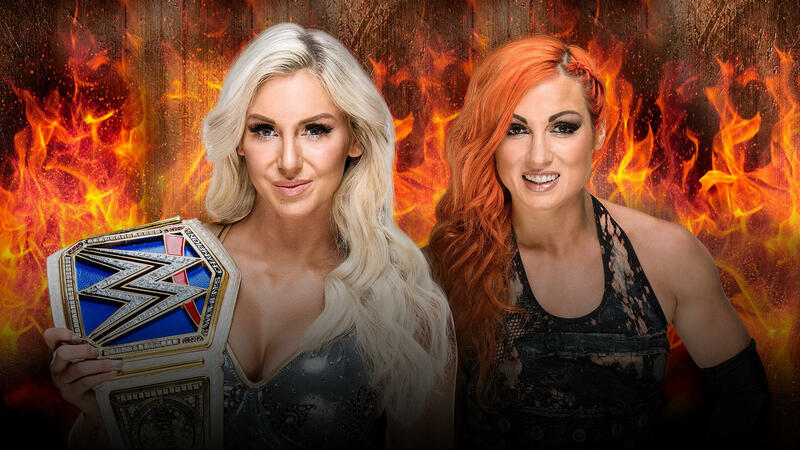 In my opinion, this match is either going to have a double DQ or have Charlotte win by another fluke, simply because I believe the feud is going to go into WWE Evolution or Supershow. I’m thinking Becky takes the title from Charlotte then, but the thrill is in the chase and the anticipation of wanting to see Becky hold the women’s title that she hasn’t held in over two years will make the wait worth it. Just not this Sunday. Hopefully, this gets enough time to work. Can we just give the Smackdown tag team division a standing applause for making tag team wrestling feel, you know, important again? The tournament has been chock full of non-stop, high-paced action with all of the teams making it seem like being tag team champions matter. Whereas on the RAW Tag team division, teams are given title matches for the sake of narrative, jobber tag teams get to hold the titles spending months getting fluke victories and there is no sense of urgency. 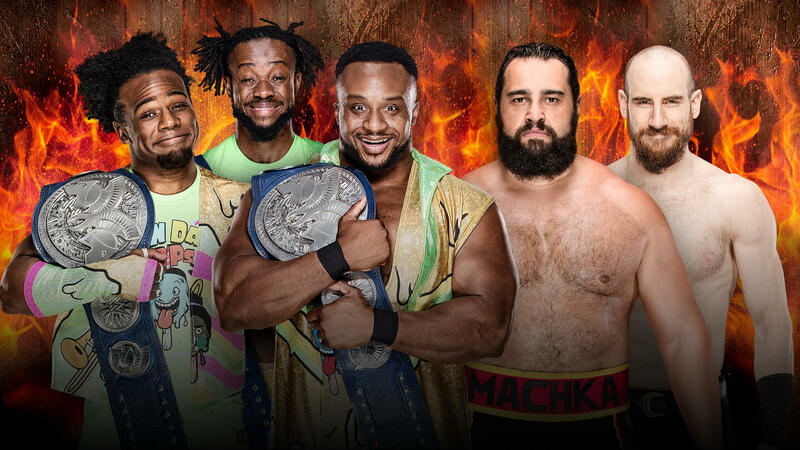 I am looking forward to this match because The New Day especially has been on fire in 2018, and I believe that Rusev and Aiden will be a good pair for them. I would like to see Rusev and Aiden as tag champs, but beating The New Day is a completely different story. If this was a multi-tag team match, then I can see Rusev and Aiden winning. Unfortunately for Rusev and Aiden, The New Day are on a bit of a hot streak, and I don’t see them dropping the titles this Sunday. I’m just hoping for a hard-worked back and forth affair. And you know what? I think we will. Who wants to start a GoFundMe for Jeff’s back after this match? Don’t get me wrong, this feud has been completely okay, and I’m digging the Orton heel turn a great deal. I also like the energy Jeff Hardy is still able to convey in his matches and his willingness to still do big spots at his age. However, can someone explain to me what exactly about this feud constitutes that they settle their differences inside Hell In A Cell? 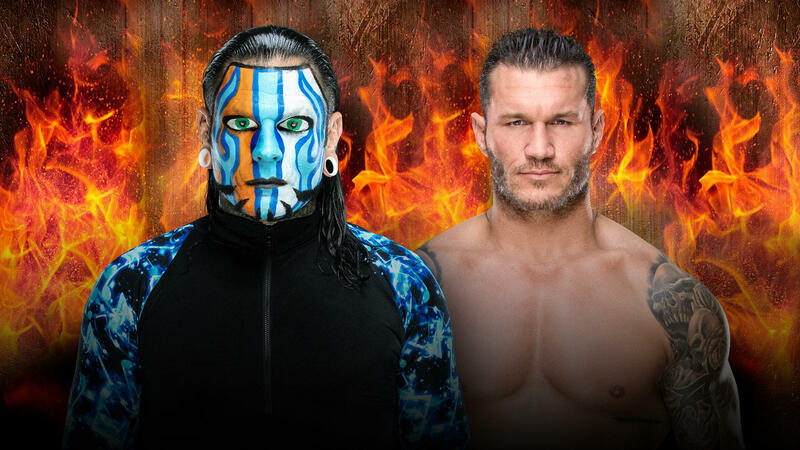 Is it Randy Orton’s fetish for wanting to rip Jeff Hardy’s ear off? This feud is based completely on arbitrary reasons. Randy Orton wanted to remind us how dangerous he can be and because we apparently forgot Orton is now going to destroy every one of our heroes, one by one. Jeff doesn’t like that so he’s going to defend himself.